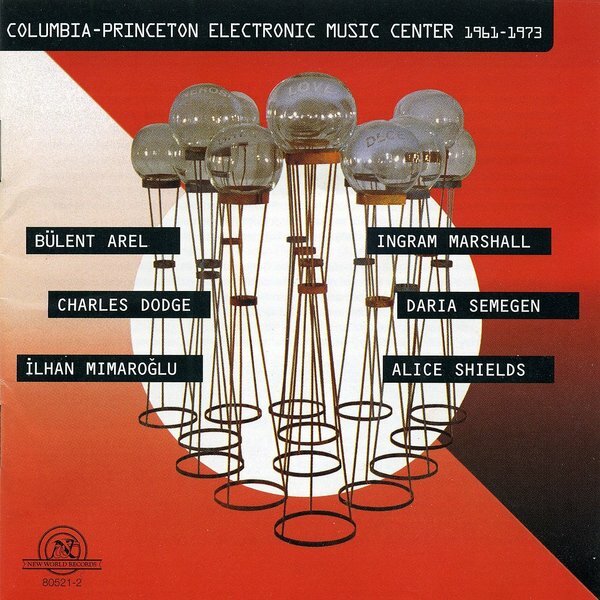 Fascinating compilation documenting eight works created at the pioneering Columbia-Princeton Electronic Music Center between 1961-73. During this time the centre was one of the premiere sound facilities in the world. Some of these classic pieces by Ilhan Mimiroglu, Charles Dodge, Bülent Arel, Dalia Semegen and others are part of an estimated 300 works composed by the facilities students and engineers during this period. Particularly beautiful is Ilhan Mimaroglu's solemn and fragile 'Prelude No.8 (To The Memory Of Edgard Varese)' an elegy to his departed friend. Charles Dodge's 'Earth Magnetic Field' is playfully expressive and radiant, while Bulent Arel's 'Postlude from Music For A Sacred Service' and the longer 'Out Of Into' are celestially alien modular synthesizer creations reminding of Keith Fullerton Whitman's experiments at the same institute. Similarly, Daria Semegen's winner of the 1975 International Society for Contemporary Music prize 'Electronic Composition No.1' is similarly dynamic and full of arresting contrasts. Alice Shield completes the album with two dramatic pieces of electro-acoustic musique concrète.